The guide gives tips and tricks for sailing, and it contains six maps: An overview map of the entire archipelago and five detailed maps to navigate from. 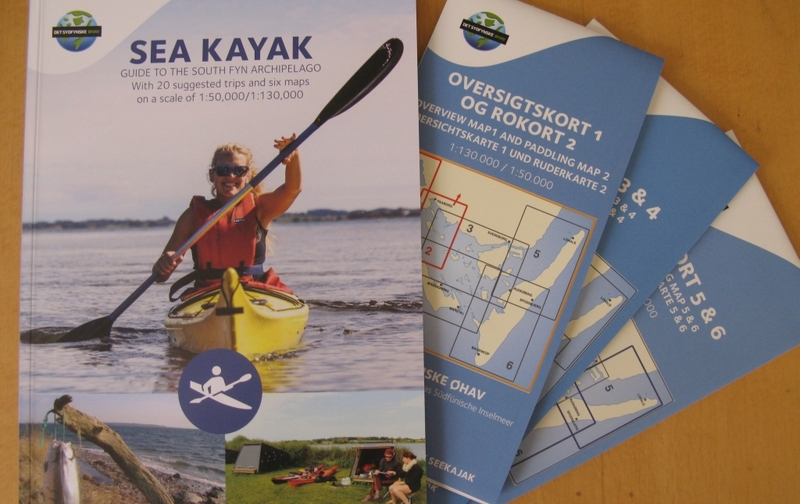 The maps are printed on waterproof paper and are packed together with the manual in a plastic bag with a practical zipper. In the book you find 20 suggestions on archipelago expeditions. The shortest is 12 km., but if you choose the queen stage: Øhavet Rundt (Around the Archipelago) the distance is 100 km.